WHAT’S GOING to resemble a small town is soon to take shape at Northwest Regional Airport. 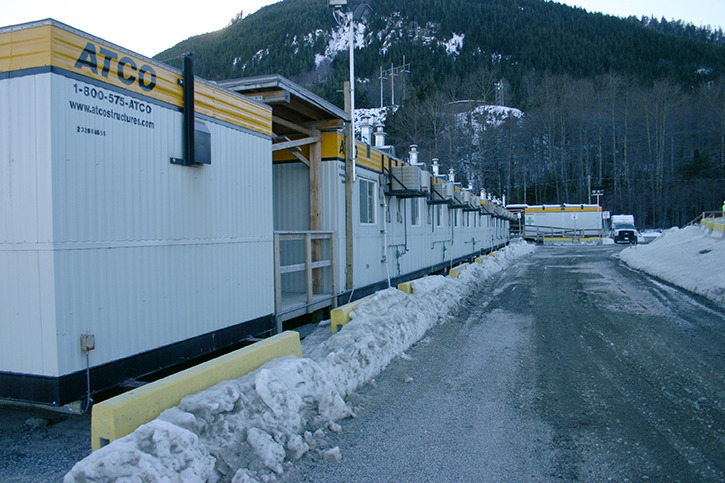 Nearly 400 trailers which served as accommodation units, kitchen units and other purposes supplied by Atco for Rio Tinto Alcan’s now-completed Kitimat smelter modernization project, are to be kept there awaiting their next use. Maybe we could do this at our airport and raise some more revenew. Maybe rent it out to those people wanting to occupy the islands. There must be some spare runway space now that we don’t have Hawk Air Flying in here. Looks like these trailers are headed to Northern Alberta. Yes we won’t need them here! Well, we’ve seen hundreds going up the highway. Most are the relatively new ones.